MOWGLI grows up thinking that he’s as fierce as a wolf, but when he learns that he’s actually human, he must discover how to reconcile two very different worlds. Will he remain with the pack or return to the human world? 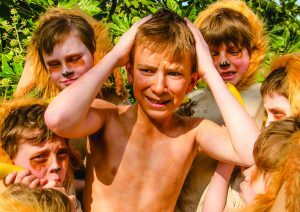 It is, of course, the classic tale of The Jungle Book – in this case the stage version, as performed by The Man In The Moon theatre company, who will bring the story to life using young local talent at Guildford’s Electric Theatre from Thursday 5 April to Saturday 7 April.